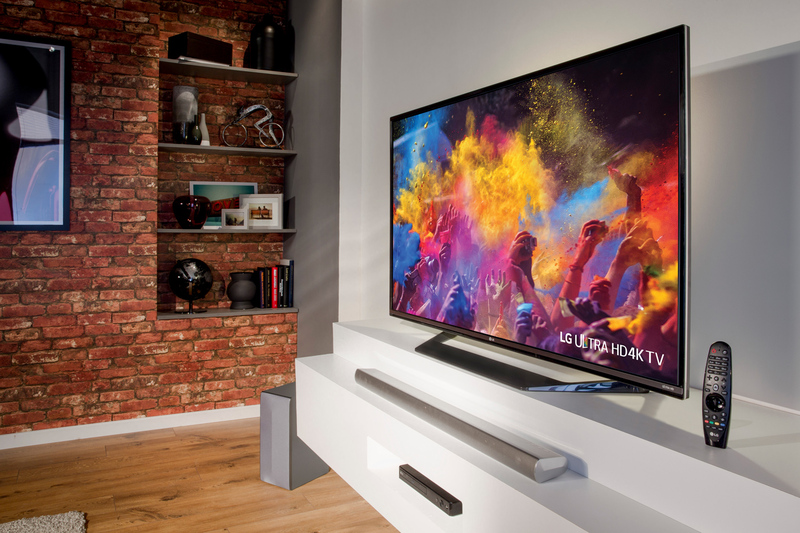 4K Ultra HD Streaming is proving popular with Australians, with Companies like Samsung, LG Electronics Philips, and Panasonic now delivering new hardware specifically designed to facilitate multiple UHD content. Also set to be rolled out in Australia is a new range of Dolby Atmos and 24Bit soundbars that make viewing Ultra HD content as good as going to a cinema. The Consumer Technology Association (CTA) the organisers of CES are “bullish” about 4K Ultra HD emerging as a major new video technology, this is despite several vendors set to show 8K TV’s at the 2017 show in Las Vegas. CTA research shows video is still king based on consumer surveying. Sixty-two percent of those consumers surveyed plan to purchase some form of Ultra HD content viewing device in next 12 months, and 29 percent plan to purchase a TV in next 12 months. This is second only to smartphones at 33 percent, while 77 percent of those surveyed would choose to purchase a TV to view content if they only had one screen. Screen size (80 percent) and picture quality (62 percent) drive preference for TV, indicating strong promise for 4K. “Diffuse video consumption behaviour is particularly relevant as we look to the increasing development and distribution of native 4K content,” Joseph said. Some 50 to 60 percent of homes have Internet-enabled TV, and 46 percent view content through paid streaming services. Demographically, 62 percent of millennials receive content via a paid streaming service vs. 38 percent of those 35 and older. But the bottom line is, sales confirm 4K UHD TV is a reality. Fifteen million units will sell this year in the USA alone, marking a 105 percent increase over 2015’s 7 million units. We are inching up to 4K UHD TVs composing nearly 50 percent of TV sales. Four in 10 sets shipping this year will be 4K UHD, and virtually all TVs over 50 inches are now 4K UHD. Global shipment revenues of 4K Ultra HD displays are expected to top $12 billion in 2016 – a 69 percent increase over 2015. Prices are dropping fast, bringing UHD sets into the consumer purchasing sweet spot. Average wholesale unit price declined from $1,048 in 2015 to an estimated $861 in 2016. CTA is also excited about all the next generation technologies — HDR, wide colour gamut, higher frame rates — though most of CTA’s work to date has been centred on HDR. CTA estimates roughly 10 percent of 4K sets shipped this year will be HDR-compatible, rising to 23 percent in 2017. As for content, the first Ultra HD Blu-ray Disc players are now on the market with a growing selection of top movies available including box office hits such as “The Revenant” and “The Martian.” CTA forecasts 2016 4K UHD Blu-ray sales of 700,000 units sold and $63 million in revenue, with many more UHD Blu-ray Disc player announcements expected at CES 2017. Netflix has announced plans to stream 600 hours of 4K content by end of 2016 and will stream HDR by end of this year. Amazon who is set to launch a new service in Australia next year is planning 500 hours of 4K content.